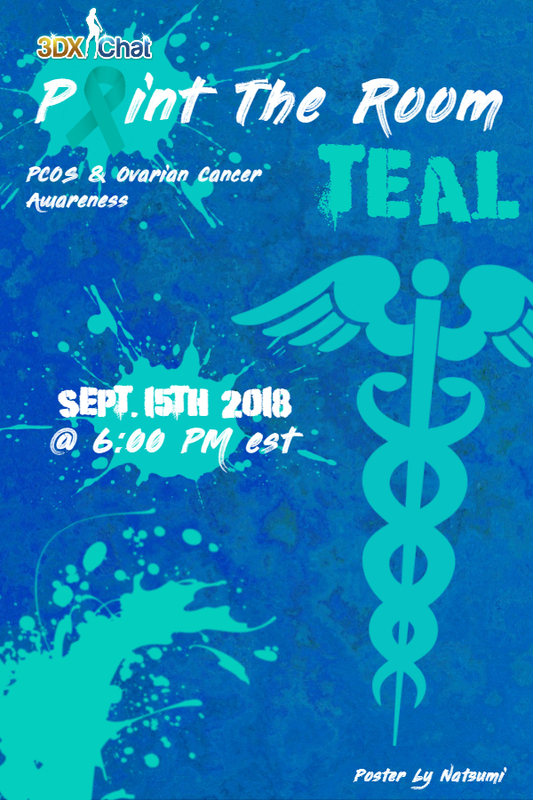 Paint the Room Teal: PCOS/Ovarian Cancer awareness event 9/15/18!! This is going to be my first event and I hope this will be good. I put in details in my post above. Also, if anyone would like to DJ. Message me here. Speaking of which, can someone add the date to the title? Official poster for the event!! Only a couple days till event. I would just like to say thank you for this awareness. My aunt was struck with disease and it was awful. She is a survivor, but she didn't come out unscathed. Due to this cancer, she can't bear children of her own which is heartbreaking. So thank you Meagan for putting this event together. No problem! I’m glad that I was able to do this! It’s today Everyone!!!!!! Hope to see y’all there!!! You wordz confuzzle me. Wat you trying to say? Let me know what you need Meag.